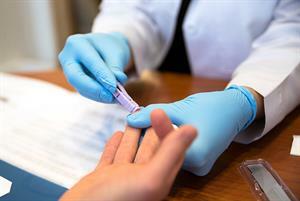 STIs could be prevented by the use of vaccines that trigger immune reactions in the female genital tract, a study by US researchers suggests. Dr Zili Li and colleagues from the University of Maryland examined the role of the immunoglobulin (Ig) subclass IgG. IgG is one of the major immunoglobulin subclasses in the mucosal secretions of the female genital tract. But previous studies have revealed little about how it enters the genital tract and the role it plays in preventing STIs, the researchers said. Dr Li and colleagues found that IgG binds to the FcRn receptor, which is expressed in human female genital tract epithelial cells. They showed that, by binding to IgG in a pH-dependent manner, FcRn controls the movement of IgG across the lining of the genital tract. The researchers used herpes simplex infection in cell samples to study this FcRn-mediated transport. They found it was a mechanism by which IgG can act locally in the female genital tract in immune surveillance and in defence against STIs. Dr Li and his team said their results suggest that vaccines that elicit high levels of broadly neutralising IgG antibodies may provide effective protection against mucosal infection and transmission. 'Further efforts to understand how human IgG antibodies mediate this protection could yield insights into mucosal immunity and facilitate the development of safe and effective mucosal vaccines against sexually transmitted diseases,' they said.